Intuitive design makes it easy to play. Foxy Bingo is licensed by the UK Gambling Commission and the Gibraltar Gambling Commissioner, and together with 17-hour live chat and telephone customer support, Foxy is on hand for any issues or problems that may arise. Foxy Casino is a visually beautiful website which is polished off with classy fonts, a sleek interface and smooth graphic transitions. 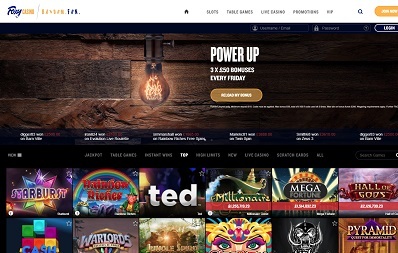 A lot of beautiful sites often don’t get the navigational structure right, but what’s immediately clear from when you land on Foxy Casino’s home page is that you’ll be able to find everything you want straight away because everything is right in front of your face. The game filters are also great too with plenty of categories to choose from and a search bar which helps you find your favourite game straight away. In-game is great too; there’s no need to download any software, you’re just in straight away on a full-width window. Bonuses are incessant on Foxy Casino with £150 in bonuses available on Friday with three £50 deposit bonuses, 50 free spins every Monday upon every £50 deposited, plus the lovely £100 welcome bonus. With the welcome bonus on Foxy Casino you can treble(!) your money with a 200% match bonus on deposits up to £100. Foxy Casino don’t offer the largest selection of payment methods but they do offer the only ones that anyone would ever need with Mastercard, Visa, Maestro, Wire Transfer and PayPal all available. The withdrawal completion time is 4 to 10 days depending on payment method. There is a minimum withdrawal of £10 and a maximum withdrawal limit of £20,000 a day, £30,000 a week and £50,000 a month. The maximum deposit limit is £50,000 a day, £100,000 a week and £200,000 a month. 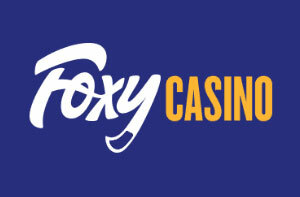 Foxy Casino offers a wide variety of games with a great selection of the rarer scratch card and instant win games, plus all the classic slot titles Starburst, Rainbow Riches and Gonzo’s Quest, and of course the traditional table games of roulette, poker, baccarat and blackjack with live variants of them all. There is also an array of progressive slots available too with over 25 always available including the millionaire-making Mega Fortune which often pays out wins over £10m. 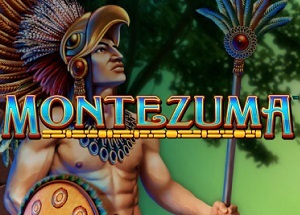 The jackpot is highlighted on all the progressive slots to help you find the big winner. Foxes throughout time in stories and fables are often seen as being very intelligent and wily characters, and that’s exactly the Foxy Casino website portrays itself. Upon arrival on the site you’re met with a very sophisticated look with its swish imagery and stylish typeface. But Foxy has more to it than just aesthetics with a rich catalogue of games, practical payment methods, and excellent promotions which are a constant throughout your time at the casino. There’s also an excellent customer support team via e-mail and telephone, plus 128-bit SSL encryption to put you at complete ease with this respected and responsible brand. 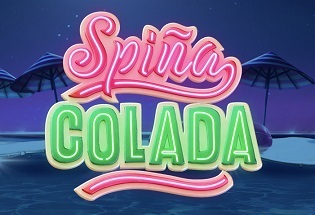 A great all-around casino.